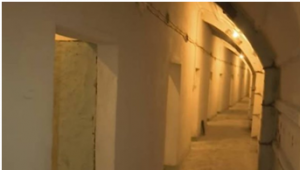 Touristic sites inside of the city that can be reached on foot. 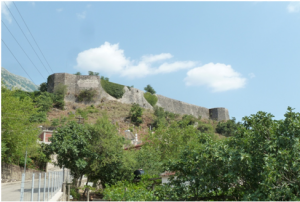 It is situated at a hight of 336 meters.It dominates the whole city and overlooks all the most important roads.It is open to visitors and inside of the castle you can enjoy also THE WEAPONS MUSEUM with different kind of weapons that are proofs of lots of wars that have happened in Gjirokastra. 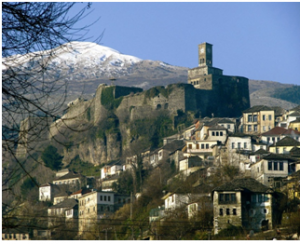 Today possesses five towrs and houses,the New Gjirokastra Museum,a clock tower,a church,a cistern and the stage of NATIONAL FOLK FESTIVAL. 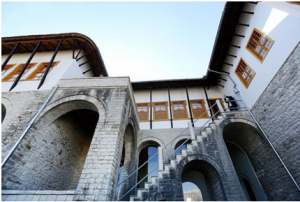 Ismail Kadare the most famous writer of Albania.His house now is open to visitors.It is opened in Janaury 28th 2016 in 80th anniversary of Ismail Kadare.This building promote art,culture and will have a direct impact in life of the city.It is situated in Palorto neighbourhood,is declared the first category museum. It is situated in the Palorto quarter.It is ex house of Enver Hoxha but today is open to visitors.It is constructed in 1966 after e fire that destroyed it.The construction is designed like old traditional houses of Gjirokaster that you can find everywhere around this city.It has four floors,and all the house is decorated with numerous household items,folk costumes and different cultural artfacts typical of wealthy families. 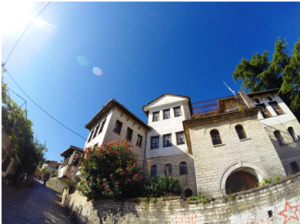 An interesting communist regime attraction.It is located inside of municipality building of Gjirokaster. 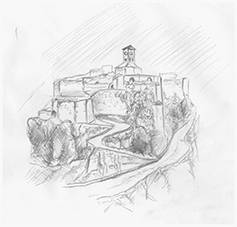 Than you can take the road toward The old bazzar that geographically is the centre of the city,where you can find different kind of souvenirs shops,artisanal products and different offices. Saint Mary Church in Labovë e Kryqit is a monument of rare value considering the unique byzantine architecture in Albania. The foundation of the church dates back to 6th century at the reign of Byzantine Emperor Justinian . 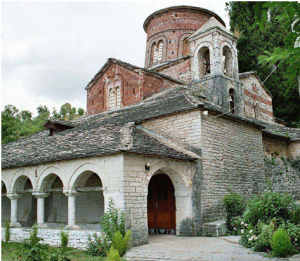 Justinian erected the church in memory of his mother The present building dates from the 10th century or – according to another source – 13th century, during the time of the Despotate of Epirus. 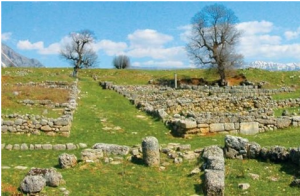 Hadrianopolis is located in the Drino River Valley near Gjirokastra. 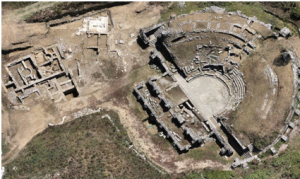 This city was known as Adrianopolis in Roman times and the site features a theater which could accommodate approximately 4,000 spectators. It was excavated in 1984.